EDITORIAL From the Zambian Post, Feb 28. 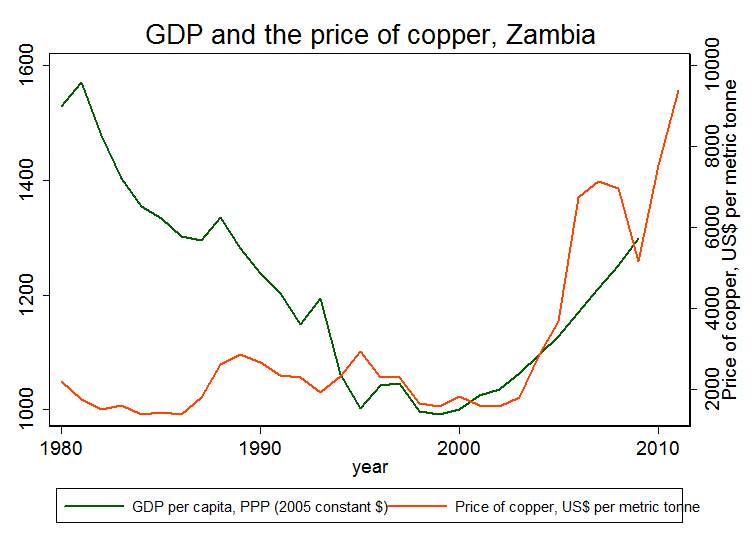 Economic growth in Zambia over the past 10 years has been strong. GNP per capita in real terms has increased by 50% between 2000 and 2013. And some social indicators such as under 5 mortality rates (which have declined by half) have responded well. But not malnutrition. There has certainly been steady progress in the past few years. For example, under 5 stunting rates, a measure of chronic malnutrition, have declined from 53% in 2002 to 40% in 2014 or about 1 percentage point a year, but this is slow given the relatively positive economic context. The government, too, seems highly committed to improving the nutrition of Zambians. It is a member of the Scaling Up Nutrition (SUN) movement and made meaningful commitments at the Nutrition for Growth pledging event in London in 2013. The benefits of addressing malnutrition are clear. For example, 45% of all under 5 mortality would be avoided by ending malnutrition. This means preventing the deaths of 40 under 5’s per 1000 live births, year in year out. Economically the returns are large as well. According to analysis in the just-released Global Nutrition Report, the benefit-cost ratio of scaling up nutrition interventions for Zambia is 17:1. In other words, for every Kwacha spent on nutrition programmes, the nation gets back 17. Over a 40 year period this is equivalent to a 10% compound rate of interest—a fantastic rate of return on any investment. So given a positive economic and political context for nutrition and the strong health and economic benefits flowing from improved nutrition, what needs to be done to accelerate malnutrition reduction? The new Government brings a fresh pair of eyes to the issue. What should it do? First, it must not be overwhelmed by the nature of the challenge. The Global Nutrition Report highlights many examples of countries and states that have taken on this challenge and won. Second, there needs to be a recognition that there is no silver bullet for nutrition improvement, only a series of golden alliances: between health, agriculture, water and sanitation; between government, civil society and the private sector; and between those dealing with under and over nutrition. There are many weak links in the malnutrition chain. If water and sanitation do not improve fast, then efforts in agriculture and poverty reduction will be undermined. Malnutrition is such an entrenched condition, governments cannot do it on their own—they need civil society to help with behavior change and they need businesses to help create a more positive environment for nutrition improvement. And undernutriton is not the only problem on the Zambian horizon, overweight is too. In fact Zambia is one of only 17 countries that have serious public health problems in all three of the following: stunting (low height for age), wasting (low weight for height) and overweight (high weight for height). * Make it clear how much money is going to the fight against malnutrition—establish line items in various government departments and find ways to bring these departments together under and newly empowered NFNC in a unified fight against this scourge. * Have a plan to increase the coverage of proven nutrition interventions such as breastfeeding promotion, efforts to improve the diets of 6-23 month year of infants and young children and the micronutrient supplementation and fortification programmes, especially those targeted to adolescent girls. These changes are not easy to make, either fiscally or politically. There will be many demands placed on the new government. Why should they take nutrition seriously amongst the clamor? Well, when you look at the long term economic picture, it becomes clear. The copper will not last forever. And while it does the Zambian economy will be held hostage to fluctuations in world commodity prices (see figure at the top of the post). The tax rate on extractive industries was raised by the previous government and was bravely upheld by the new government. Now is the time to start investing that tax revenue into something that will endure long after the copper stores diminish, and is not subject to world commodity prices: nutrition. Investing in infant nutrition improvement now is a way of turning mining resources into human resources. But can politicians wait 20-30 years for the economic payoffs? It is well known that Zambia is undergoing a demographic transition. Mortality rates are falling and the ratio of working age to non-working age people is increasing and will peak around 2050. This is the so-called “demographic dividend”. But it will only be a dividend if the infants of today can get good jobs in 2050. That means investing in their nutrition today. As the African saying goes: the best time to plant a tree is 30 years ago. The next best time is today.” If the investments are not made in nutrition of infants today, the demographic dividend of 2050 could turn into a demographic “nightmare”, with widespread unemployment, disillusionment and a loss of development momentum. Making nutrition a policy priority is not only good health policy, it is a fundamental plank of economic policy and will sustain Zambia’s economic progress deep into the 21 century. Economically, Ethiopia has made spectacular progress in the past 10 years: economic growth has been strong and extreme poverty rates have almost halved. However, progress in reducing malnutrition has been steady rather than spectacular. In the past few years stunting rates (children with very low heights for their age) for children under 5 have fallen from 58% in 2000 to 44% in 2010 and to 40% in 2014. That is a very respectable rate of decline --more than one percentage point a year. But this rate of reduction is much slower than the rate of reduction in poverty. What needs to be done to accelerate malnutrition reduction? First, let’s remind ourselves why we care about stunting rates of children under 5. It is not the height per se we care about, it is the crucial things that height gain is a marker for early in life. Height gains in the first 2-3 years of life are strongly linked to improved immune system and cognitive system development. Weight gains in the same period are not nearly as strongly linked. We know that 45% of all under 5 deaths are associated with malnutrition. The Ethiopian under 5 mortality rate has dropped steadily in the past 10 years, but still 64 of every live births in the country will not make it to their 5th birthday. So 30 out of every 1000 under 5 deaths in Ethiopia will be avoided by addressing malnutrition. We know what to do to address and prevent malnutrition: scale up nutrition-specific programmes to improve, for example, exclusive breastfeeding rates, improve the diets of infants between 6 and 23 months and improve the diets of adolescent girls and women of reproductive age. We also know we need to improve underlying drivers of food security, access to improved water, sanitation and health services and continue to support the empowerment of women. The prospects are good. Ethiopia is a world leader in making safety nets productive in terms of skill development and infrastructure development -- and now in terms of building the human capital of the youngest by making the Productive Safety Net Programme more nutrition sensitive through an increased focus on the first 1000 days of life. And the economic returns are enormous. The Global Nutrition Report estimates that for Ethiopia, for every Birr spent improving the coverage of nutrition programmes, 12 Birr are generated in terms of improved productivity in the labour force. That is equivalent to a 9% compound rate of interest earned on an investment over a thirty-year period—surely a better return than any other investment opportunity in Ethiopia today. In fact the African Cost of Hunger project estimates that the total economic cost of malnutrition in Ethiopia is equivalent to 16% of current GDP. What are the Ethiopian investment priorities in nutrition? The Global Nutrition Report brings together a wide array of data on nutrition outcomes, programmes, underlying drivers, policies, spending and legislation to provide some signposts to action. The data in the Ethiopia Nutrition Profile suggest the following areas are priorities for action: improve infant and young child feeding through complementary feeding programmes; dramatically improve secondary enrolment rates of girls and strengthen the population density of doctors and nurses/midwives. Other opportunities for action relate to policy and legislation: few provisions of the international code of marketing of breast milk substitutes are enshrined in law; nutrition does not feature as much in national development plans and economic policies as it does in many other countries, wheat fortification legislation is rated as in the planning phase, and maternity protection, so crucial for child feeding by working mothers is “partial”. It is, of course, for Ethiopian policymakers to set investment priorities for nutrition. The evidence reassures that these investments will pay off--they are proven interventions. But can politicians wait 20-30 years for the economic payoffs? It is well known that Ethiopia is undergoing a demographic transition. Mortality rates are falling and the ratio of working age to non-working age people is increasing and will peak around 2050. This is the so-called “demographic dividend”. But it will only be a dividend if the infants of today can get good jobs in 2050. That means investing in their nutrition today. As the African saying goes: the best time to plant a tree is 30 years ago. The next best time is today.” If the investments are not made in nutrition of infants today, the demographic dividend of 2050 could turn into a demographic “nightmare”, with widespread unemployment, disillusionment and a loss of development momentum. Making nutrition a policy priority is not only good health policy, it is a fundamental plank of economic policy and will propel Ethiopia’s economic progress now and in the future. The GNR roundtable event in Addis Ababa was hosted by the Government of Ethiopia’s Ministry of Health and attended by over 100 people. Ferew Lemma (far left of picture) and Augustin Flory are the new co-chairs of the GNR’s Stakeholder Group (taking over from Edith Mkawa and Jane Edmonson who did a great job for 2014) and it was fitting that Ferew was the key shaper of the event. The roundtable celebrated Ethiopia’s successes in driving down stunting rates. We noted the commitment of the Government to nutrition as evidenced by its membership of SUN, its commitments at the N4G summit in 2013 and its support for the GNR process. * Only 10% of births have skilled attendants while antenatal care rates are low at 19%. Exclusive breastfeeding is just above the WHA 2025 target of 50%. But more is better, and the rate of exclusive breastfeeding has not increased for the past 11 years. But the real vulnerability is the state of infant and young child feeding, with both indicators at 5% or less suggesting that 95% of children 6-23 months of age do not eat enough food of the right quantity or quality. * At the underlying level—i.e. drivers that are not interventions or practices per se, but are known to be strongly linked to nutrition status—estimates of hunger have declined significantly in the past 14 years (from 56% to 35%). But female secondary enrollment rates for the most recent year are only at 11% in 2000 (compared to over 30% for Africa) and Ethiopia ranks 121 (out of 151) in the UNDP Gender Inequality Index. On access to improved water and sanitation progress is rapid but the levels of improved sanitation (37%) and improved water (52%) remain low. Strong and positive trends in government spending on social protection and education suggest the improvements in underlying determinants will improve. * The opportunities for action seem clear: improve infant and young child feeding through complementary feeding programmes, dramatically improve secondary enrollment rates of girls and try to make social protection and education investments more nutrition sensitive. Other opportunities for action relate to policy and legislation: few provisions of the international code of marketing of breast milk substitutes are enshrined in law; nutrition does not feature as much in national development plans and economic policies as it does in many other countries (68th out of 83), wheat fortification legislation is rated as in the planning phase, and maternity protection, so crucial for child feeding of working mothers is still “partial”. The roundtable touched on several of these issues. What struck me from the presentations on the day was the ambition of the Ethiopian Government on nutrition targets and its use of analysis. On ambition, Ferew Lemma a senior official in the Ministry of Health and the SUN focal point, outlined the target for 2020 on stunting: 26%. Remember, the latest mini DHS suggests a stunting rate of 40% in 2014. That is a decline of 14 percentage points in 5 years. This is about what Maharashtra achieved. The targets are tied to the projections of Ethiopia becoming a middle income country by 2020 (based on GNP per capita). On analysis, we were told of the remarkable story of the Productive Safety Net Programme (PSNP) which has been going for about 10 years now. The new PSNP4 will be more nutrition sensitive than the current PSNP3. Noting that it is not easy to design or deliver nutrition sensitive programmes at scale (PSNP reaches 10 million people) I asked about the process of change. How was the Minister of Agriculture persuaded to adopt nutrition sensitivity? I was told it was analysis, persistence over 3 years, and an influencing strategy that embraced pressure from within the Ministry of agriculture and from elsewhere in the government, as well as persuasion from outside (UN agencies and noting that all the donors who fund PSNP also fund nutrition). The embrace of analysis was interesting: an evaluation (by John Hoddinott at IFPRI) from 2013 showed that while PSNP3 was improving diet diversity and food security at the household level it was not having any impact at the under 2 level. This helped support the drive for the nutrition-sensitive changes. The ambition of PSNP4 is so striking that Tom Arnold said (and I agree with him) that global leadership on innovation for safety nets and nutrition may well be shifting to Ethiopia away from places like Mexico and Brazil. Clearly the commitment to improving nutrition is high from all Ethiopian stakeholders. While the iron is hot there are 2 things I would like the government to consider. First, consult more about how to tackle wasting rates (perhaps linked to relatively low coverage of improved sanitation and water?). Wasting rates are still high at 9-10% and they are stuck. Second, pay as much attention to child growth as it does to economic growth. The new 5 year Growth and Transformation Plan (current one here) will come into effect later in 2015. 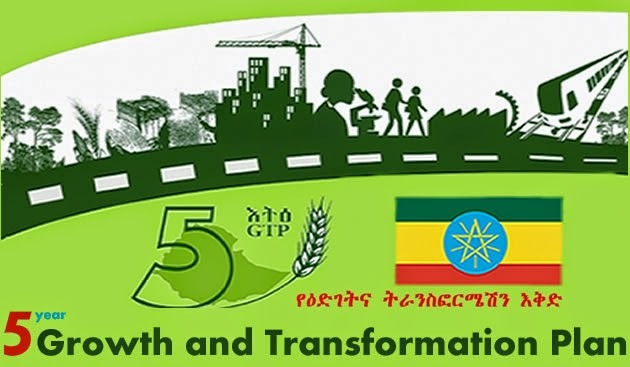 In the Plan the Government of Ethiopia should give nutrition the same prominence as it will give to things such as hard infrastructure and macroeconomic policy stability. Human infrastructure is vital too. Middle income status is a hollow victory if low income malnutrition rates persist. For that to be avoided Ethiopia needs to have a middle income nutrition plan for development and a middle income development plan for nutrition. The UK has done amazingly well in increasing its aid (ODA) spending to 0.7% of gross national income (GNI). In doing so it has fulfilled a 40 year promise and become the first G7 country to do so. This was a commitment that all 3 main parties (back then, Conservatives, Labour and Lib Dems-now who knows?) made before the 2010 election. But we have seen what can happen to manifesto pledges, and in the context of debt reduction and the rise of the nationalist UK Independence Party (UKIP) it must have been tempting to cut the aid budget. But to their immense credit the government did not make the cuts and the target was met in April 2014. And back in September 2014 MPs in the House of Commons voted overwhelmingly to pass the 0.7 Bill. 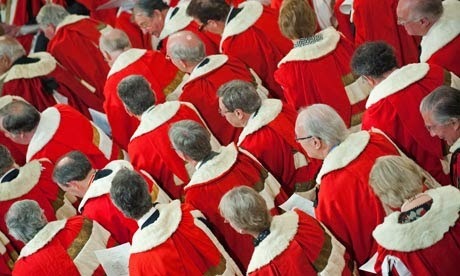 The legislation is currently with the UK parliament's second chamber, the House of Lords. It passed the committee state on February 6 and is now going through report stage for further scrutiny on February 27. This is the good news. The bad news is that time is running out. Government is rapidly shutting down for new business ahead of the May General Election. And this election is shaping up to be one of the most unpredictable in living memory. Seven-party elections don't happen very often in the UK. If this window of opportunity for the Bill is missed we may have to wait quite some time--years--for it to open again. So I would urge the membership of the House of Lords, the peers, to pass this Bill. Passing it will signal a long term commitment to stability in UK aid flows. Admittedly the passing of the Bill will introduce a variability in aid that mirrors variations in GNI, but it will remove the much more unpredictable and jarring political uncertainties in aid flows. This long term commitment is vital to grow and seize "high hanging fruits" (yes them) in development such as institutional transformation, governance evolutions, building more democratic institutions and the strengthening of capacity for negotiation in the international arena. 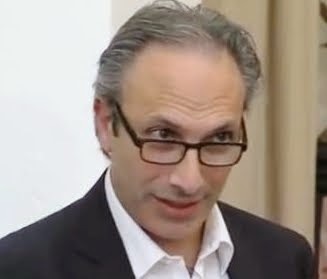 I fully expect ODA to be replaced, for most aid recipients, by domestic resource mobilisation --public and private--over the next 15 years, but ODA is key to that transition being a smooth one. A smooth transition will not be disruptive of development because it will focus on the higher hanging fruits noted above such as building tax collection/allocation capacity and governance, establishing regulatory environments that guide capitalism towards broad-based development and the building of social welfare states that address floor requirements for all. Strategic allocations of ODA will be more--not less--important in the SDG era. And as any strategist knows s/he will have enough uncertainty to negotiate without the self-inflicted political kind that legislation can temper. Last week we held a Global Nutrition Report roundtable in Odisha’s state capital, Bhubaneswar. We had a great line up of speakers from Odisha and Delhi. The state’s Chief Minister, Naveen Patnaik, as well as the Minister of Women, Children and Development, Usha Devi, were in attendance at the end of the day to hear the result of the day’s deliberations. About 140 participants from government, civil society and research were present. We were in Odisha because it has high rates of stunting from the 2005-6 NFHS-3 survey at just over 40% and because it is home to one of the Independent Expert Group, Arti Ahuja, Principal Secretary for Health and Welfare. 1. Odisha is a state that is very open to innovation and experimentation in nutrition and health, with a genuine desire to improve delivery and outcomes. There was ample evidence of lots of pilots and evaluations (e.g. social audits, nutrition focused malaria programmes and different incentives for nutrition and health frontline workers to work as a cohesive unit) underpinned by strong collaborations between government, NGOs and researchers. This is the kind of leadership we need -- and the tone is set at the top. The Chief Minister was clearly massively busy—he had been in parliament all day--and was going from our meeting to chair a Cabinet meeting. He could easily have not attended and saved himself a precious hour, but he resisted and was with us. 2. The flip side risk of being an open space for experimentation and innovation is the temptation to overelaborate and generate a glittering but threadbare patchwork of lovely pilots that are incapable of being scaled up. There was no evidence of that happening, but it is a risk to monitor closely. 3. The nutrition community really need to engage with powerful development processes. Whether working in malaria prevention, house construction, school feeding, employment legislation, women’s land rights or disaster prevention and resilience promotion, a nutrition lens may lead to design changes that can enhance nutrition status (e.g. mesh windows in mud huts, roads that enhance access to food markets). In addition, there is a need to anticipate and plan for cuts in social sector spending that seem to be on their way from central government in Delhi. 4. Finally I stressed that leadership for nutrition needs to come from wherever people were situated. That leadership would be characterized by taking risks to get things moving even when there was some potential personal cost, questioning lazy assumptions, forming alliances, making yourself accountable and never forgetting to be outraged by malnutrition. 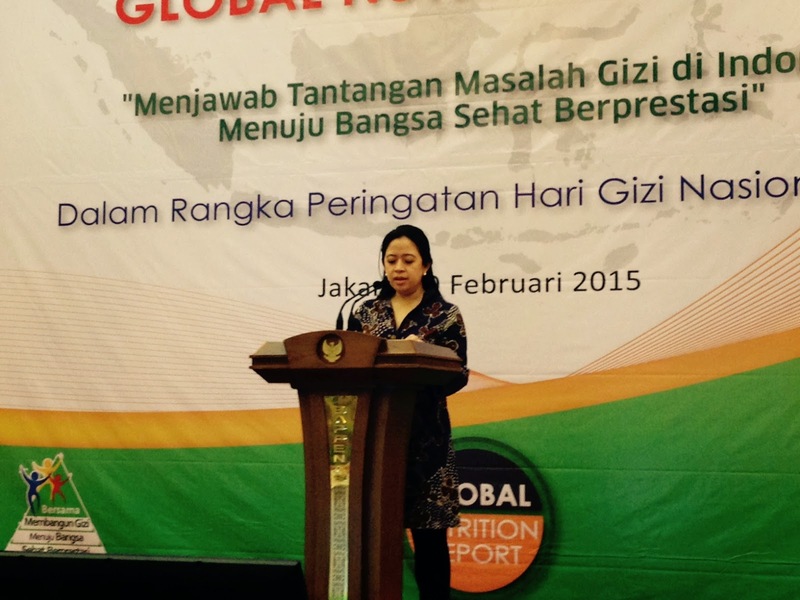 Participants had clearly reflected on the Global Nutrition Report. As well as lots of plaudits, there were criticisms: where was the rights based paradigm? Where were the warnings that a lack of data should not be an excuse for doing nothing? Where was the subnational data that is most useful for policymakers and programme implementers? All valid critiques, and ones which we will try to address in 2015. Overall I was impressed with how cutting edge much of the thinking and work being done in Odisha seemed to be, and how warm and generous the Oriya participants were. Our Indian partners decided to craft the first regional Global Nutrition Report roundtable around the importance of data for accountability and for programme and policy formulation. The topic is especially relevant for India. But surely there is a plethora of data on nutrition in India—what are people complaining about? Think of a big box full of shoes that contains only 3 actual pairs. Lots of shoes, but only 3 pairs that are useable. This is the situation with nutrition data in India. The three pairs of shoes are the 3 NFHS surveys over the time span of 1992-2006. These are comparable over time (although the excellent presentation from Purnima Menon and Aparna John showed that even the different NFHS rounds are different in term of reference group and people interviewed) and therefore they support intertemporal accountability. The lack of trend data in India is a puzzle. This is the country that leads the world in poverty data collection over time. For nutrition, we are approaching the 10th birthday of NFHS 3. Soon it will have to be placed in a nutrition data museum! Pronab Sen, the Chair of the National Statistics Commission, one of our keynotes, said that NFHS 4 was in the field and would be completed by the end of 2015. Our fingers are crossed. If anyone ever tells you that data don’t matter, tell them about the politics of malnutrition data in India. The GoI/UNICEF Rapid Survey of Children (RSOC, reported on in the Global Nutrition Report) is not yet in the public domain, with no official notice of when that will happen or why it has not yet happened. As Ramanan Laxminarayan of PHFI said, India’s current stunting levels—even if 39% as suggested by the RSOC—represent a historic waste of human potential. We need data to tell us where this problem is most stubborn so we can act. Promisingly, there are plans for a National Nutrition Mission. This is a once in a generation chance to launch an “Indian Nutrition Miracle”. This could be one of the key planks in a future Modi legacy. For this to happen, the Mission needs to have specific time bound targets (e.g. halve stunting rates in 10 years), it needs to be evidence based (e.g. scale up interventions and actions that top quality research says actually work) and it needs to be accountable (e.g. disclose expenditure levels, monitor performance, identify who is responsible). There were plenty of ideas from the panelists about how to strengthen accountability for nutrition in India: citizen report cards to support communities to be accountability champions, data journalism to help the media better sift the data, more timely release of data, better use of district data, better use of budget data, clarification of who is responsible for nutrition at different levels, and new approaches and indicators for documenting business conduct in nutrition. Evidence based facts can be powerful drivers of change and clear signposts for action. They need to be generated, shared and made usable. This also requires investments in capacity. Good quality data support accountability, and accountability is the glue that connects commitment to action and to impact.